"Love them. So filling and great tastes "
"The bars are so good and filling. 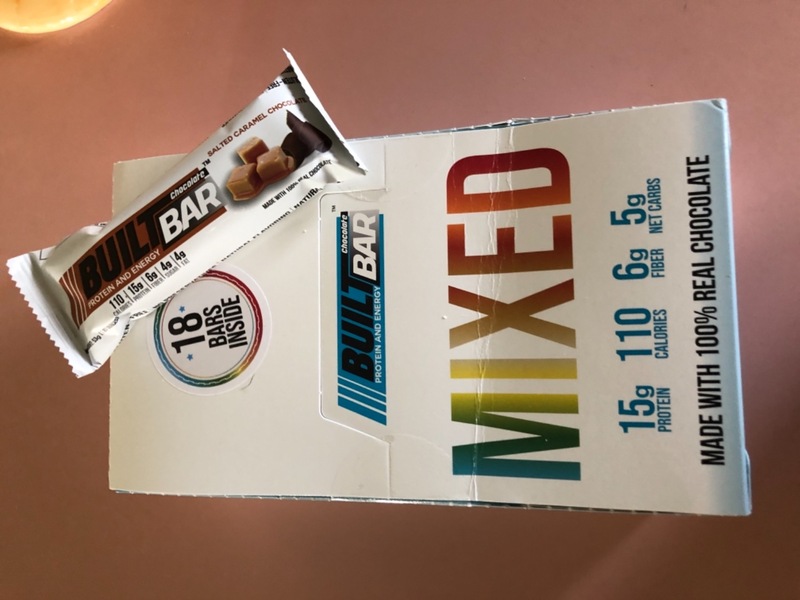 I use them on the go, with a yogurt for breakfast or to satisfy a chocolate craving!!" "Love love love these bars!!!!" "Dark chocolate dream. You can’t go wrong "
"Geez. I’m having a very hard time placing another custom order. I’d like 18 bars. 6 coconut. 9 chocolate mint and 3 double chocolate. Is it possible to order these?" "I love Built Bar! They are perfect on my WW diet!!" "This flavor is edging into my favorite. Right now it is a 3 way tie between the Salted Caramel, Vanilla and the Coconut. Nor a problem, order all of them ;-)"
"This is the BEST bar ever and since I’m WW it’s only 3 points so YAY!!!" "Haven’t tried all yet but love the coconut and the vanilla creme!!!" "My favorite protein bars! Taste amazing!" "The coconut bar tastes like a Mounds bar - absolutely delicious - but much less sugar, calories, and fat! For those on WW, an entire bar is only 3 points. I tend to cut these in half and enjoy as my daily dessert. " "Excellent. I think they are an excellent addition to my diet plan. They taste great and I love that they are the size of a full size candy bar. " "Wonderful So tasty A snack that taste like a treat! 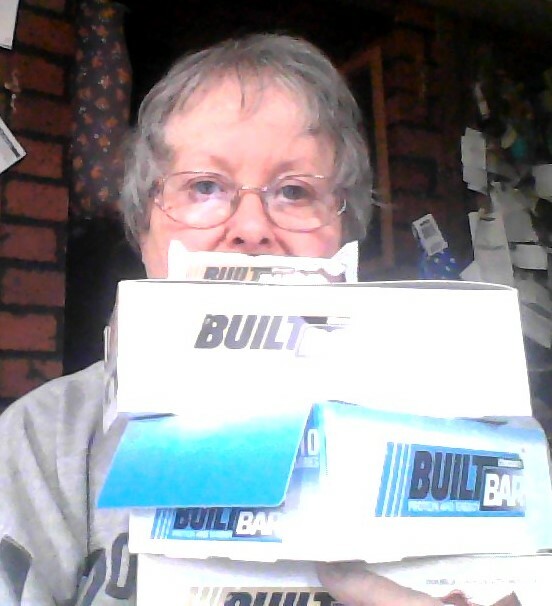 Yummy "
"I love Built Bars frozen. Take one out at night and cut into 6-8 pieces and enjoy all evening"
"Love these bars. Great frozen!" "My son also loves them. Need to double orders!" "I ordered the variety box. My very favorite was the coconut chocolate. It taste like you are eating a candy bar. Will definitely order them again!!" "These bars are delicious and are currently my favorite protein bar." "These are my favorite bars I’ve ever found. They taste great, and keep me full for hours with just over a 100 calories. Every single flavor is great! " "Love them! Soft, yummy, flavorful, goodness! No protein aftertaste at all! Real delicious chocolate! I’m buying them all! " "They taste good - unheard of for a lower calorie bar!!" The Protein Bar You've Been Hoping For! "Eating more healthy foods is a big deal nowadays, but we don't always have time to prepare what our bodies need! Built Bars pack 15 grams of protein into each scrumptious bar so, even when we think we're too busy to eat right, we can eat right! Double Chocolate is my current favorite - my mouth is watering just thinking about having one! " "Amazing low cal candy bar to fight the sugar cravings with!" "Great ...it’s a wonderful bar especially when you are craving something sweet! Gets rid of the crave for a good amount of time!" "I love these bars!!! Every flavor is better then the last.. love putting them in the freezer for a tasty treat!" "Finally, some of the best nutritional protein bars on the market. Taste good several choices just overall great customer service. *kudos*"
"My favorite flavor Built Bar is the Coconut Chocolate, it really grows on you. I have one as a snack on Weight Watchers every other day. A big bar for only 3 WW points. Yummy!" "Excellent tasting!!! Great safe treat for anytime of day!!" "I truly loved the creamy texture of the filling, delicious flavours and finally the decadent chocolate covering. The fact that is has a good amount of protein and is low in calories makes this the perfect treat or snack. "